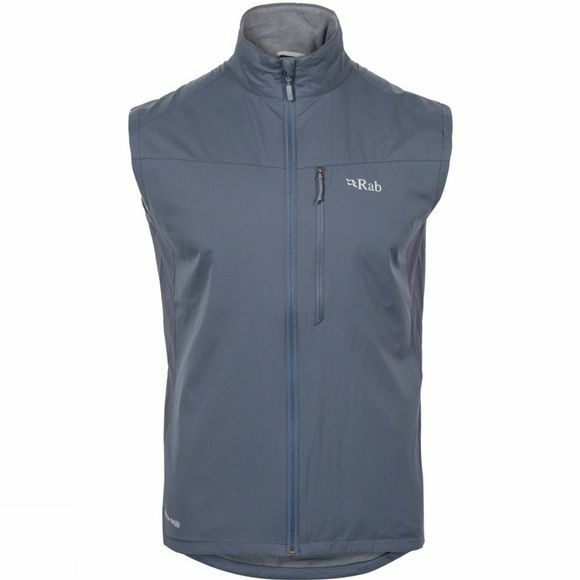 The Vapour-Rise Flex Vest is ideal for high-energy pursuits, giving windproof, highly breathable protection to the body core while allowing great freedom of movement. As well as blocking the wind, Pertex Equilibrium fabric is designed to pull moisture away from the body and disperse it quickly; Rab's VR technology complements this with a wicking micro-fleece liner to really ramp up the performance. As the name says, this isn't just VR, it's VR Flex: the side panels are cut in light, stretchy Matrix SWS softshell fabric for an unrestricted, athletic fit.